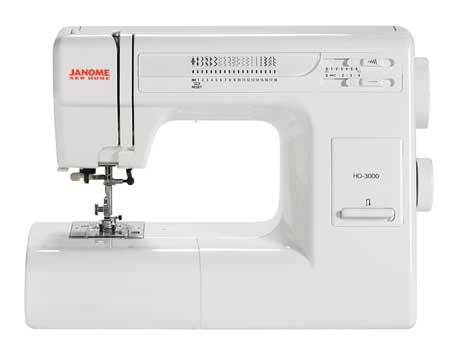 If you’re looking for a sewing machine that does is both affordable AND high quality, Janome is a brand you should definitely check out. Furthermore, every sewer will be able to develop their skills further with a wide array of styles, functions and features their sewing machines offer. Many “sewing people” choose this brand because they want something that can stand the test of time, something that is high quality AND is affordable and that’s what Janome sewing machines are. Let’s dive deeper and see what makes Janome a craftsman favorite and what this brand brings to the table. 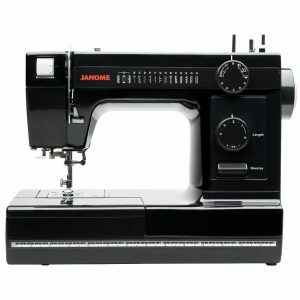 What Different Types of Sewing Machines Does Janome Offer? With the essential built-in stitches, we’ve found that Janome machines meet the needs of most households, even if you want to sew thicker fabrics like leather that are not as common. With the custom fashion taking the industry by storm, best Janome sewing machines will easily be able to do most of the tasks. Also, Janome sells serger machines (Read our Best Serger Machines guide HERE) which are also high quality and will give every project a professional, almost too-good-to-be-true look. Even seams that do not unravel and stitches that are nice and tight will make your project look like it was done by a Master Tailor. With the Janome sewing machines, you’ll get up to a 4-thread serger that can be used in a 2/3/4 configuration so you can add a flare to your job. For a beginner, it’s a great plus that Janome machines are made to be SUPER easy to use so if you are intimidated, don’t be! All you have to do after unboxing your new workhorse is thread it up. That’s it, you’re literally ready to go in minutes. We’ve found that this brand has gone the extra mile to make their sewing machines easy to use. you don’t need any extra tools and accessories to get started and at the prices they offer their machines, it’s a no brainer why many sewers choose this brand. Talking about price, that’s one of the many advantages you’ll have. I’ll put it this way – you’ll receive many of the features that more “Premium” brands offer, but much cheaper. More so, many Janome machines have more features than the competitor brand machines at the same price. Doesn’t matter if you’re just starting out or you’re well versed in the sewing world, Janome is a brand to consider both; if you’re on a budget or looking for a reliable sewing machine. A big plus is that almost every review you`ll find mention the superb build quality of the machines and that’s what makes them one of the best in the market. The new 0.25-inch foot “Clear View” foot that you’ll find on many Janome models allows quilters to work that much more easily and really take advantage of their affordable sewing machine as thicker materials won’t get stuck under the foot. If you’re looking for many different stitch options, you’re in lucks as Janome sewing machines include variable cutting widths that can go up to 7mm. And if you want to work not only efficient but fast, these machines can exceed speeds of 1`200 stitches per minute. Just imagine getting all your sewing chores done FAST. To help you set up the machine for work and get started ASAP, take advantage of adjusting the feed and their threading charts. 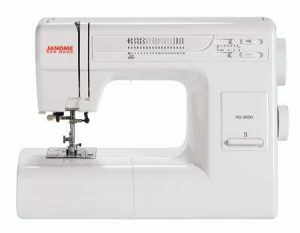 Lastly, we really like the durability of Janome sewing machines. I know I’m repeating myself here, but for the price you pay you will get a sewing machine that has a solid aluminum body, that will withstand heavy use for years to come. You will be able to work on it not worrying that the machine will break down like with many cheaper brands. 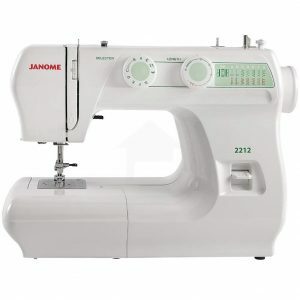 How to choose the best Janome sewing machine model for me? First of all, you need to determine what you’ll use the sewing machine for. Will it be a jack of all trades? do you need 2/3/4 threading of a serger sewing machine? or maybe just a basic model to sew some blankets and curtains will do? Or maybe something to sew leather and other, thicker fabrics? 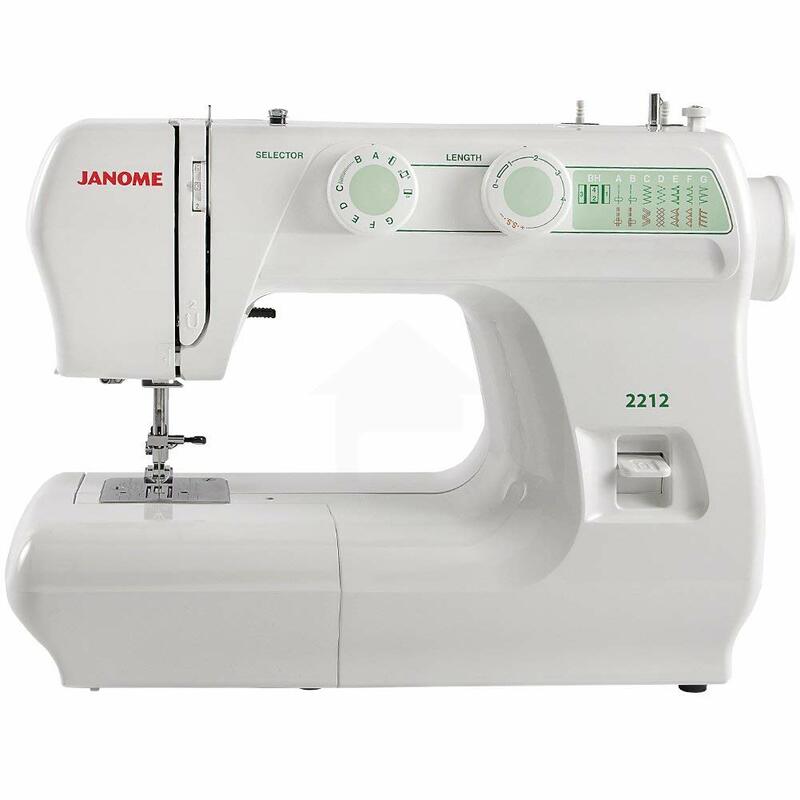 Once you know what kind of sewing machine you want, take advantage of our reviews of Janome machines, check the features, advantages and drawbacks to make an educated decision. Once you know what kind of sewing machine you want, figure out your price range. Second had shops or local retailers are a popular choice, but each has their own drawbacks. If you’re looking at second-hand sewing machines, one obvious drawback is that it’ll likely not last as long as well as no warranty for most so I’d recommend buying new. After all, this will be a tool you use for years to come so you might as well invest the extra money if you can. Why I would advise against buying for a local retailer is the price – often times it will be more expensive. I recommend buying online – amazon always has competitive prices + fast shipping. As for the pricing itself, for a Janome machine, you’re looking to spend about $300 – $500 for a high-quality workhorse that you’ll reliably use for years to come. Just imagine having top of the line sewing machine for just $300. If you want to save money, you can wait till amazon prime day or black Friday/cyber Monday. You will find that the prices can drop drastically at those high-velocity shopping days.